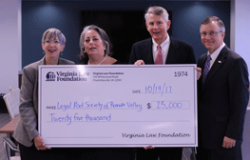 Virginia Law Foundation grants are available to support law-related projects throughout the Commonwealth of Virginia. Our goal is to be a catalyst for original research, creative thinking, and well-crafted initiatives that provide improved access to justice for the underserved, enhance understanding of the importance of the Rule of Law in society, or support law-related education as an additional way to realize these goals. 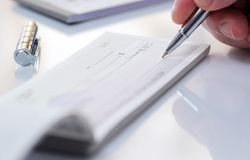 Our annual grant application deadline is March 15.